613 – Full crown – non metallic – indirect. An artificial crown made of tooth coloured materials, usually ceramics. 615 – Full crown – veneered – indirect. An artificial crown made with a metal base, then veneered with tooth coloured materials, usually ceramics. It is commonly known as a VMK. This is an abbreviation of the German words “VITA Metal Keramik” for the process of firing the ceramic onto the metal base. It is also known as Porcelain fused to Metal or PFM. 618 – Full crown – metallic – indirect. An artificial crown made of cast metal, usually a gold alloy. They are commonly used in back teeth that are under heavy loads and have limited room. 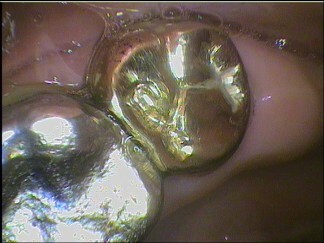 Preparation of the tooth requires less tooth removal and gold have the ability to be strong but have some give to it. This reduces the wear on the opposing teeth. If the biting is heavy sometimes ceramic in crowns may crack. 625 – Post & core – indirect. A post and core (foundation) for the crown which is casted in a laboratory. It is made of various metal alloys. The post is made to fit a prepared root canal after a root canal treatment has been done. 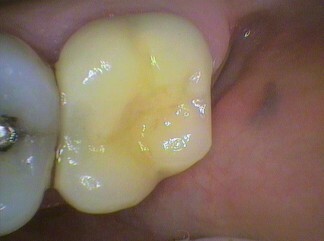 The post & core provides retention to the crown to the tooth if there is not enough tooth structure to support the crown. 627 – Preliminary restoration for crown – direct. This is a direct filling of any variety that is used to build up a tooth to support the crown. Pins (575) or posts (597) may be need and are itemised separately. This numbers are used usually in an emergency situation where a tooth had broken and a temporary “tooth” needs to be placed. 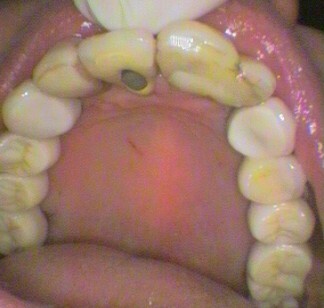 This is before proper preparation of the tooth or implant for the proper “tooth”. It is not used once the proper preparation has been done and a temporary “tooth” is made until the proper one is made. 643 – Bridge per pontic – indirect – per pontic – false tooth joined to crown (611-618) or to an implant crown (671-673) or to another pontic. Made in a laboratory. 659 – Repair or crown or bridge – direct – achieved in the mouth without removing the crown or bridge. Lots of numbers to remember! Next instalment will be implant item numbers. But let’s have a break from the items numbers for a little while.